← Is it the gear or the photographer? With 2014 approaching, I wanted to wish everyone a happy new year and share my personal favorite images from 2013. 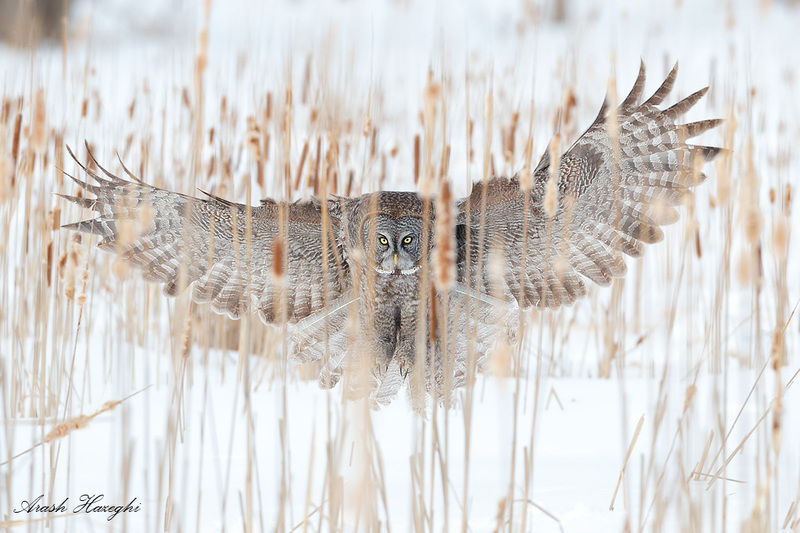 A Great Grey winter: Last winter I had a great opportunity to photograph great grey owls in Ottawa. The frozen winter landscape provided some unique perspective and images. 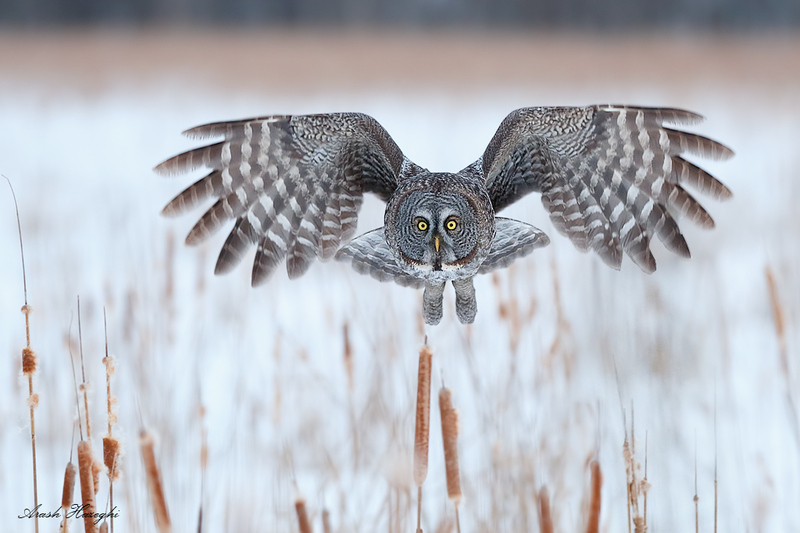 Incoming great grey owl. 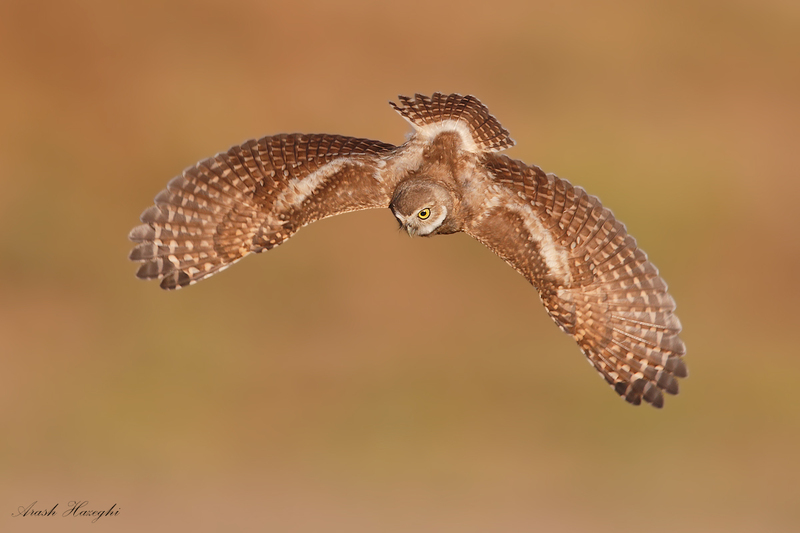 The owls fly very low, maneuvering just above the cattails. EOS 1DX EF 300mm f/2.8 II f/4 1/1600sec ISO 5000. From behind the cattails. Great grey owl, EOS 1DX EF 300 f/2.8 IS II f/4 1/2500sec ISO 500. A colorful spring: Back in spring, I photographed Californian shorebirds. 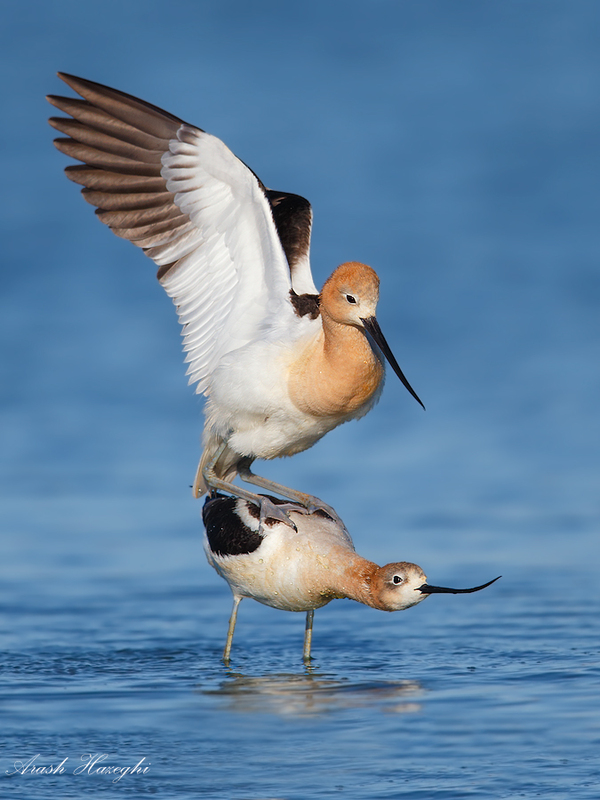 Spring is mating season for the American Avocets. The plumage is in full breeding colors creating an interesting color pallet. Mating American Avocets in breeding colors. EOS 1DX EF 600mm f/4 IS II plus EF Extender 1.4X III f/8 1/2500sec ISO 800 handheld. 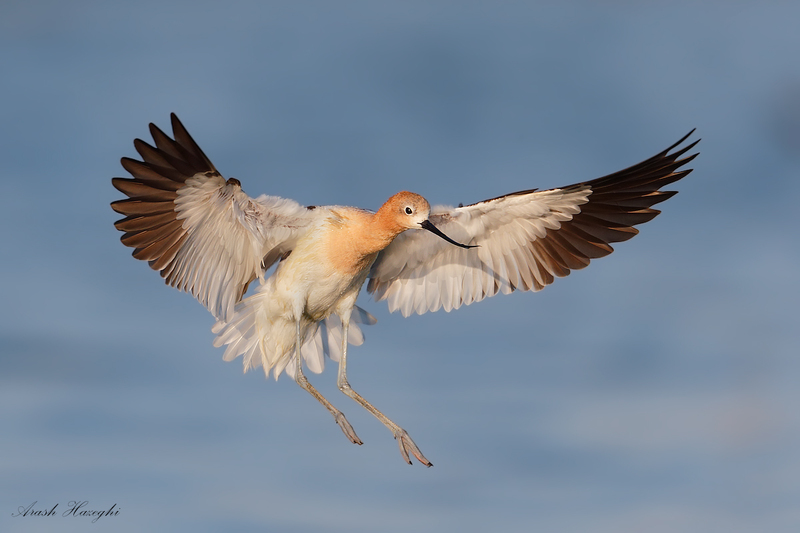 American Avocet in breeding colors. EOS 1DX EF 600mm f/4 IS II plus EF Extender 1.4X III f/5.6 1/3200sec ISO 800 handheld. Click to enlarge. 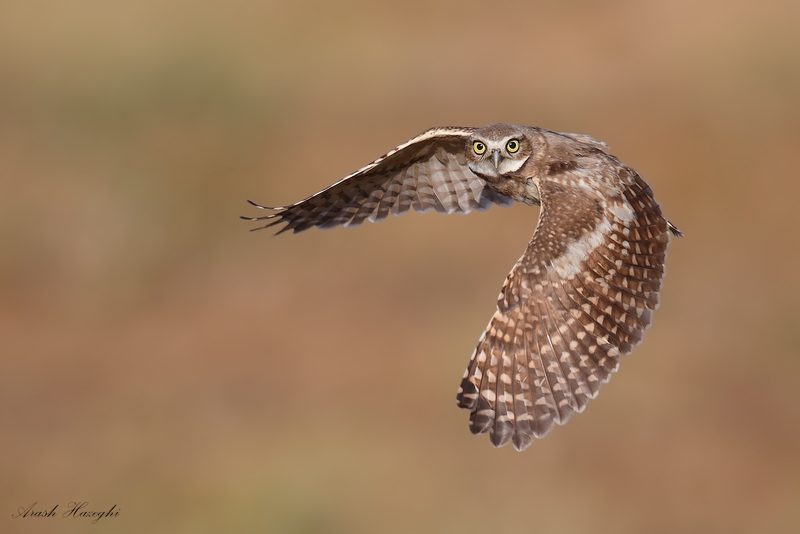 An animated summer: The highlight of the summer was the burrowing owl family that I photographed early in the season. The youngsters were quite playful as they were learning to fly and hunt. I was lucky to capture their practice flights before they started to mature and thus became more conservative in their activities later in the season. Juvenile Burrowing owl. EOS 1DX EF 600mm f/4 IS II + EF Extender 1.4X III f/5.6 1/3200sec ISO 640, handheld. 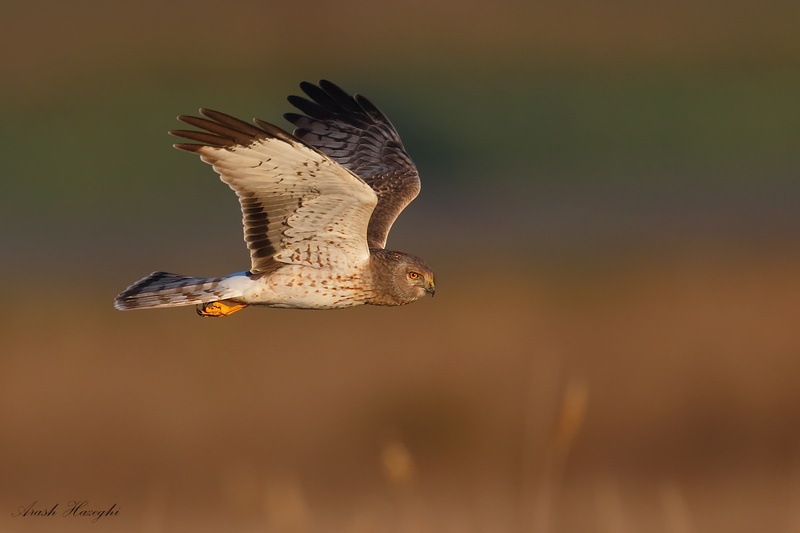 An exciting fall: The fall was more eventful than I had thought, I was able to photograph a male harrier in California coast, one of my favorite species as well as a handsome snowy owl in Canada again. 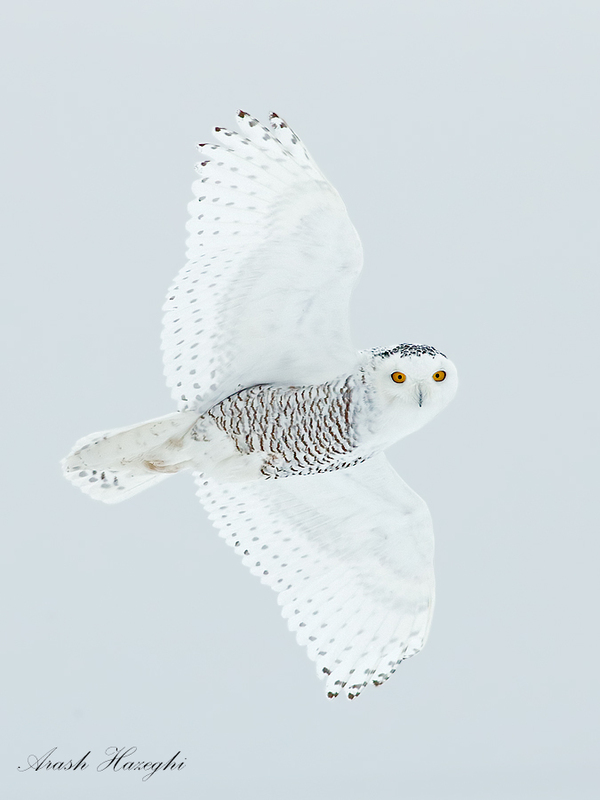 The snow covered landscape in Ottawa provided some dramatic scenes that show the snowy’s habitat. 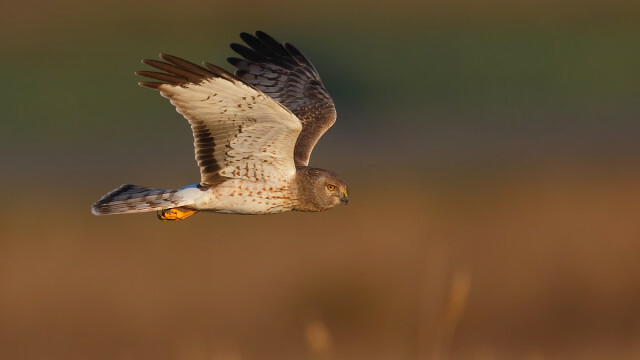 Male Northern Harrier, aka “the grey ghost”. EOS 1DX, EF 600mm f/4 IS II plus EF Extender 1.4X III f/5.6 1/3200sec ISO 1000 handheld. Click to enlarge. 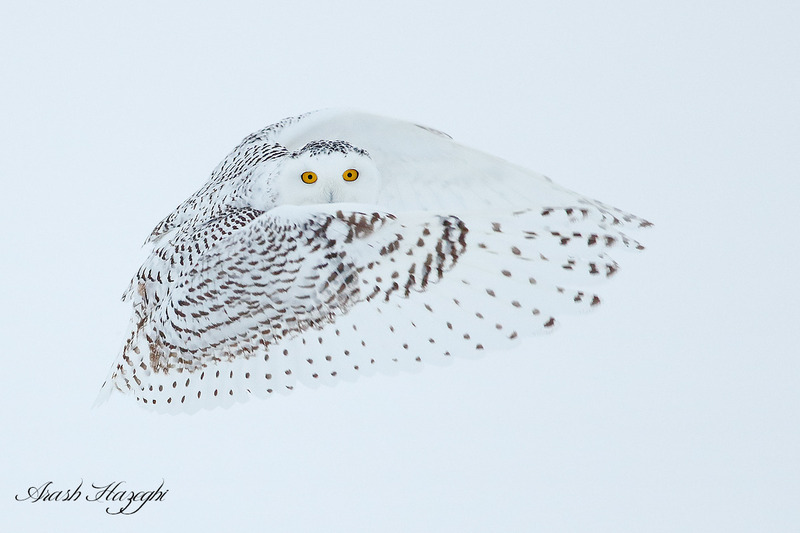 Snowy owl, the spirit of Ottawa. EOS 1DX EF 400mm f/5.6L f/7.1 1/3200sec ISO 2000. handheld. The ninja owl! EOS 1DX EF 400mm f/5.6L f/5.6 1/1600sec ISO 2000 handheld. Click to enlarge. I would like to take this opportunity to thank all of my friends for their support and encouragement. Thank you all for viewing and happy 2014! Thanks for all your great images and inspiration that I hope has led me to make stronger images. A very fine collection of images, Arash. You’ve had quite a year, but I think your snowies were the icing on the cake!! Those r wonderful images n works. Thanks for sharing n wish ull enjoy more n more of them. Amazing collection, Arash! I love your work, learnt a lot just from viewing your images, congratulations!